London is a foodie paradise with thousands of restaurants, cafes, food trucks, kiosks, super markets and delis all vying to feed hungry patrons. The city’s ever growing multicultural population and the cultural influences that these varied nationalities bring with them, is best reflected in the food that’s served and eaten around the city. As a traveller I enjoy eating local food and trying new cuisine (if its vegetarian). As a parent however, my choice of which restaurant to dine in is often determined by whether I can find something suitable for my daughter there. London is a fabulous city for kids of all ages. And there some world class restaurants that cater delicious food while also indulging kids with menus specifically designed for them as well as with some really fun activities to ensure that your child and you have a great time at the restaurant. Here are 3 restaurants that match up to my description above! All 3 are restaurant chains that started in the UK and that are perfect places to take kids for a meal. The restaurant prides itself on having a seasonal menu that uses ingredients that are either sourced locally or those that are grown and transported with utmost care for the environment. They also pride themselves on being certified as a carbon neutral company! 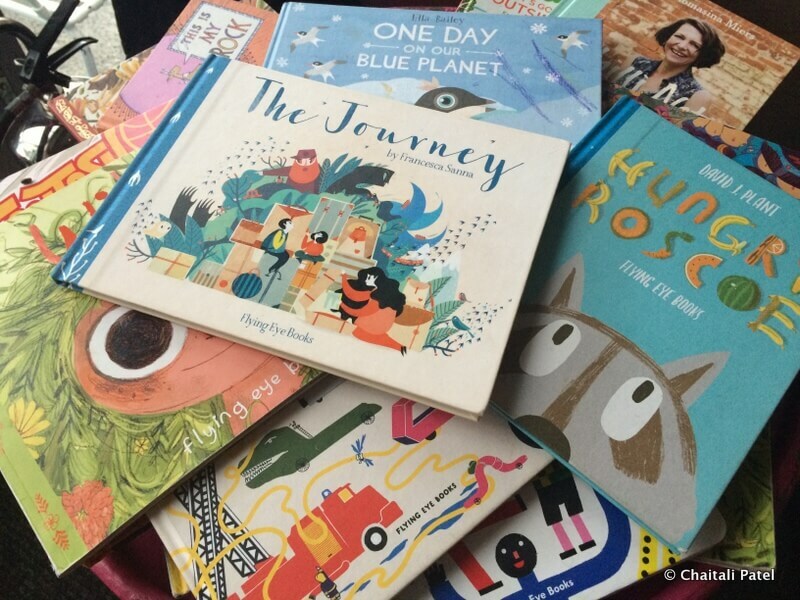 The minute we walked in the first thing that caught my eye was a large collection of children’s books that lay piled up in a corner. I loved the idea of reading at a restaurant while waiting for food to be served, and not having to bring my own books just made it so much more fun! Once seated Anika got her own kid’s menu which doubled up as a coloring sheet. All it took was a a couple of crayons that the restaurant provided and our meal had already become a fun outing. For kids there’s a special kid’s menu that includes a choice of tacos and quesadilla sandwiches. 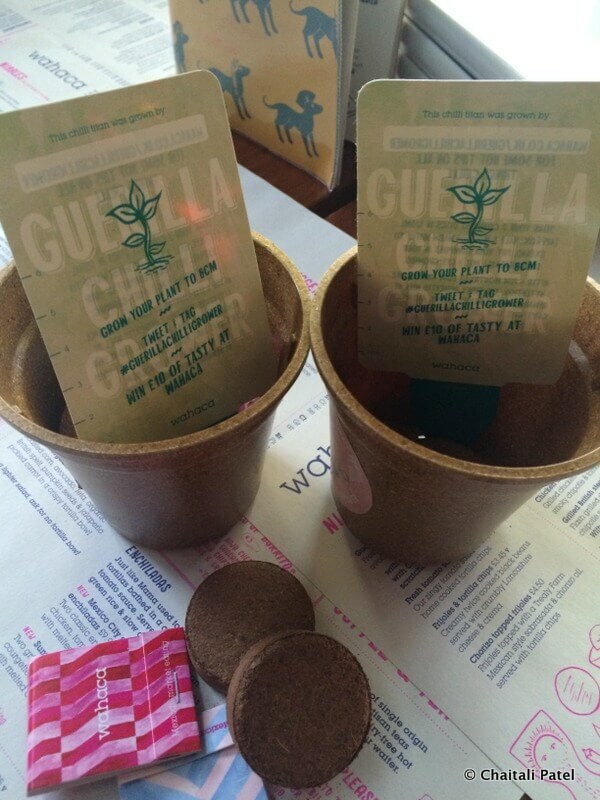 As we happened to be there during the Guerrilla Chilli Growing week we got some limited edition biodegradable chill growing kits, complete with a pot, soil and chilli seeds. Inspired by fast-paced Japanese ramen (noodle) bars Wagamama opened its first restaurant in the UK more than 20 years ago. Go here to get a taste of a variety of Japanese dishes served in a stylish yet relaxed atmosphere. There’s special kids menu with a lot of vegetarian options too. 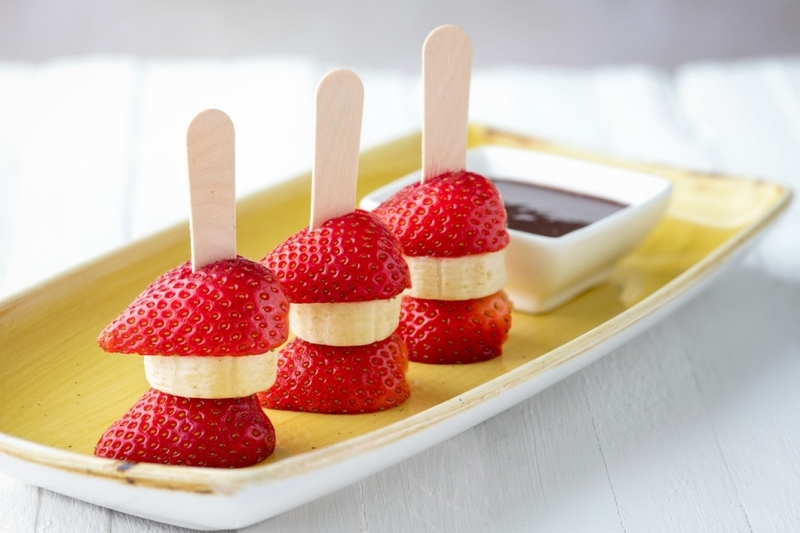 The menu features natural fruit ice lollies that sounded yum and is something that I am sure most kids would enjoy. The menu that features a character called Hoshi, doubled up as an activity sheet. Anika was given some crayons and soon got started doodling giving my husband and I some time to chat while we waited for our food to be served. While cutlery is kept at each of the tables, there are also trainer chop sticks that are available, so kids can work towards improving their chop stick skills. We dined at the Wagamama restaurant in South Bank. It was a hot day and after a fair amount of walking around we sit down and have a meal as well as wanted to go somewhere to use the rest room. If there’s a Giraffe restaurant in your vicinity, it’s likely you will see kids carrying bright orange balloons around! It was the balloons that caught Anika’s attention too! This fun restaurant chain is all about fresh food from around the world and serving it with great music from across the globe. Their kids’s menu features a selection of breakfast options, mains, drinks and desserts. And the restaurant makes it a point to serve children first so they can get started on their meals, while parents get some time to relax while they wait for their meals to arrive. 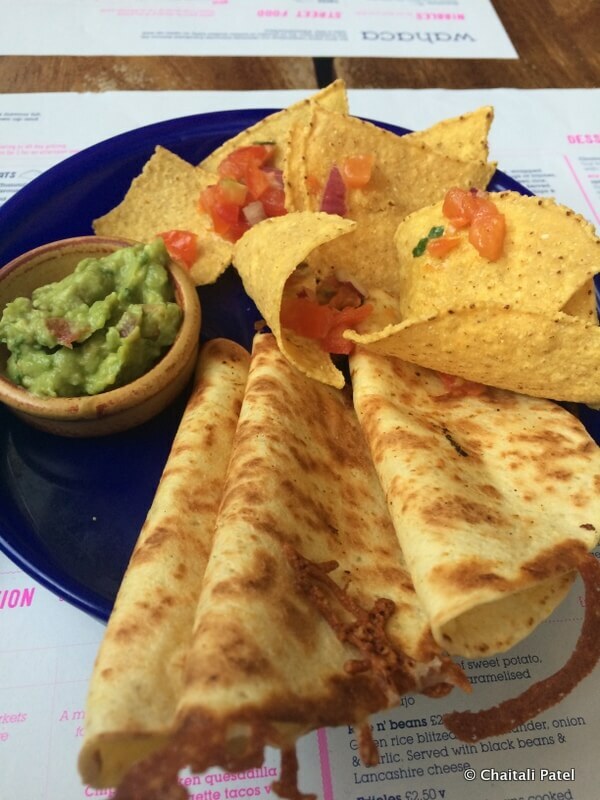 Their biggest restaurant in South Bank offers splendid views of the River Thames and is again a great place to have a sit down meal, use clean loos and give the kids a chance to relax and do some fun activity before you head out exploring again. Read: London Museums That Kids Will Love!